bad shot of a bad idea. Sorry but seen so many today. Gooc colors, I like the detail. There is a hot spot across the iron that is distracting. Maybe try using a different light source other than the flash. Or try putting some thin white cloth over the flash to soften it a little. I like how the background is dark. Could be a nice abstract if you work with it a little more. :) that's very cool. i was actually laughing out loud when i saw this just now. I would like to see it a couple points lighter maybe? 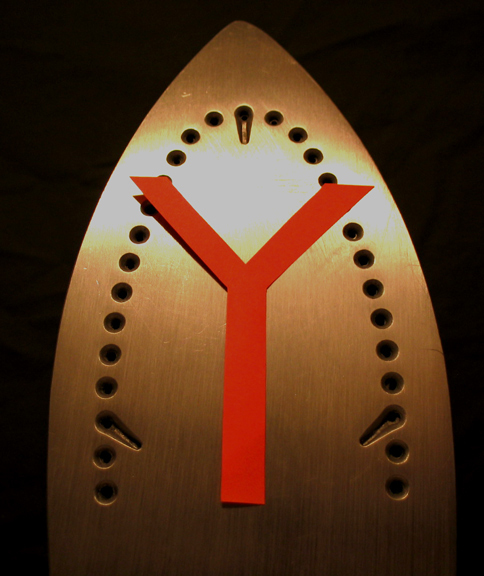 Composition is good, and i even like how the y is "peeling" off the iron. good interpretation of the category - nice work. very clever, thinking outside the box. I like. Also ironic in the fact that your iron probably isn't made of iron. heh. very good on many levels. Proudly hosted by Sargasso Networks. Current Server Time: 04/24/2019 09:50:17 PM EDT.